It’s the sweetest month of the year. We brought the kids to The Studio Loft for the Valentine’s Day theme studio sitting as planned. We had a really wonderful time. The kids were in great mood, no tantrums, no tears. We can’t resist sharing one of the sweetest shot here, framed in Shabby Princess’s beautiful February desktop, designed by Nicole, fonts by Shabby Princess, a very talented scrapbooking designer. If you like the February desktop featured on this post, it is available for free download here. While you are there, visit Shabby Princess Shoppe for some of their very inspiring digital scrapbooking kits. All parents know how exhausting it is to do the night feeds and how it is easy to play the “No, it’s your turn!” with your partner. Wrybaby’s New Parent Pillowcases are a way to get round it and avoid late-night misunderstandings with our reversible pillowcase set. This way, it’s clear, it’s funny and it’ll be less of a drag to get up in the middle of the night! This makes a wonderful and unique gift for new parents or for a baby shower. Come take a look at Maternity Exchange for this and more gift ideas! Maternity Exchange is the first maternity rental store where you have the choice of renting or purchasing your maternity or nursing wear. And the best part? You won’t have to pay through-the-roof prices for them. Maternity Exchange is offering all Lollipop Days readers a 15% off the Wrybaby Pillowcases (U.P $49.90)# and 10% off their maternity and nursing wear range. * Quote ‘Lollipop Days’ or ‘itsy bitsy ME!’ to claim the discount. 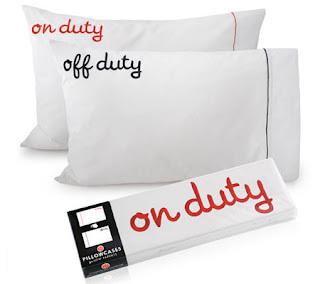 # Wry Baby Pillowcases promotion is only available in store and offer is valid till 31 March 2009. Not valid for rental packages and ala carte rentals and purchasing after renting. MEV Basic Range and offer items. MX has the right to amend the conditions when necessary, with or without notice to the customer. Spring is here... well... not exactly... it is the time of the year when most Chinese will be busy cleaning up their homes, splurging on new clothes and goodies for family members. We call it the “Chun Jie”, literally translate to Spring Festival which is actually the Chinese New Year. 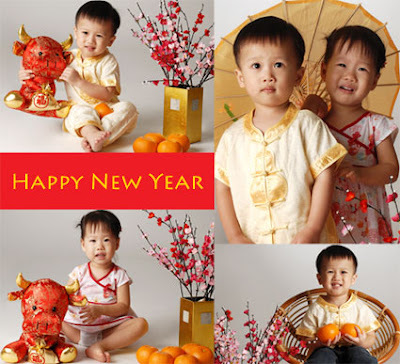 Just for the fun of it, we decided to bring our little imps to The Studio Loft’s Chinese New Year Walk-in promotion. Well, as it turns out, my girl was not exactly in a ‘strike a pose’ mood though Charlene was a very patience photographer. But we will not give up, the kids will be back for The Studio Loft’s Valentine Day’s promotion.